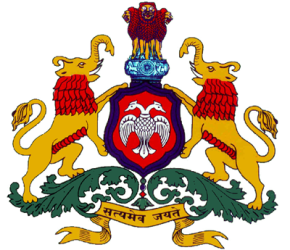 Office of the Registrar General, High Court of Karnataka has introduced a notification for the recruitment of Second Division Assistant and various Group D vacancies. Aspirants with requisite eligibility conditions can apply in the prescribed format on or before the last date. Applicants should read the detailed advertisement to ensure the eligibility criteria as if any application find with inadequate eligibility or wrong details liable to be cancellation. To get necessary details check the eligibility criteria, selection process, salary details, application fees, how to apply and important dates are shapedon this page. The other upper relaxation in age will be applicable as per govt. instructions. In form of Indian Postal Order drawn in favour of the Registrar General, High Court of Karnataka, High Court Buildings, Bangalore –560001. Selection will be made on the basis of Written Test / Interview. Eligible candidates can submit their application in the prescribed format in the desired performa which can be downloaded through official website. Application completed in all respects must be enclosed in an envelope written as "Application for the Post of Group D" and forward this to below mentioned address. Applicants have to log on official website and click on Link of Notification s and choose Recruitment. Then click on desired link and read the complete details. After filling the online form check all entries and take a print out for further reference.